Please scroll down to read the description. This is a beautiful, golden yellow single thickness very lightweight blanket. This blanket is velvety soft and lightweight for a newborn baby. 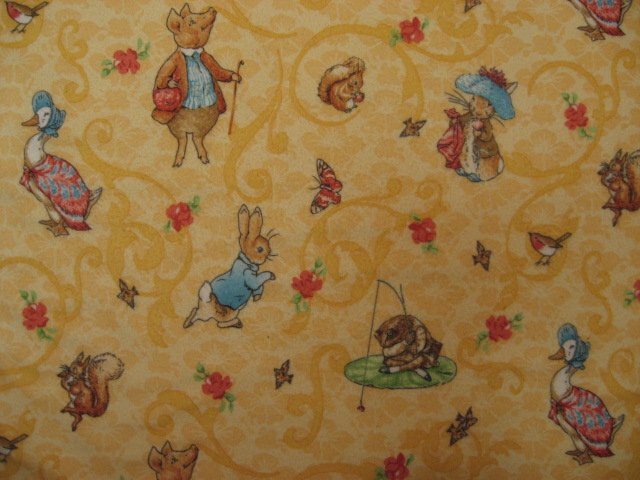 This adorable flannel blanket depicts: The Beatrix Potter story book characters. This generous size blanket measures approximately 36"X28" wide! Dozens more flannel baby blankets in my store.